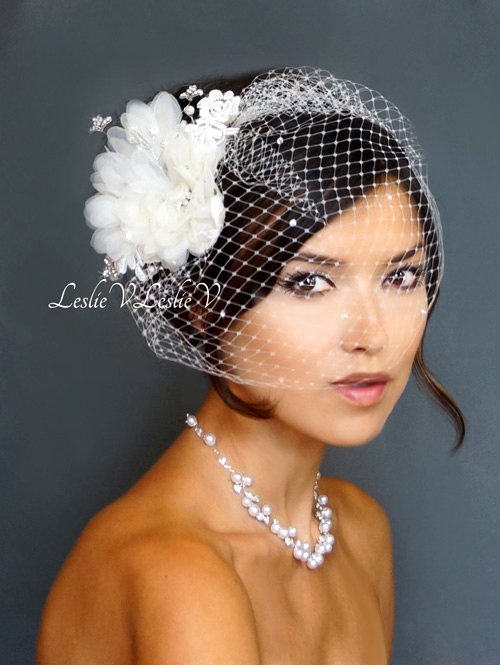 Petite Vintage Style Birdcage Veil, scattered Austrian crystals, French Netting, measures approximately 8 inches long x 12 inches wide, attached to a small metal comb. Large IVORY Floret Clusters with Rhinestone, Pearl, and Bead Sprays on twisted metal. 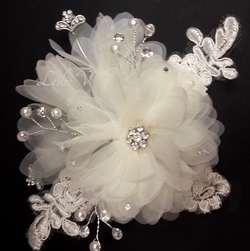 Approximately 7x4.5 inches, slide in hair clip on back, detachable from veil. Styling instructions included. Shop Lovely, Be Lovely!